Hurrah! It’s always disheartening to see such a big building standing empty but good news; the Tulse Hill Hotel is to reopen in November. It originally shut back in March this year, with fellow south London website Brixton Buzz reporting that the Greene King brewery had put in a planning application for the property. Fast forward a few months and the company has the builders in with a view to opening late October / early November. Result. They’re not wasting any time in promoting their new business either – we picked up this leaflet at September’s West Norwood FEAST. 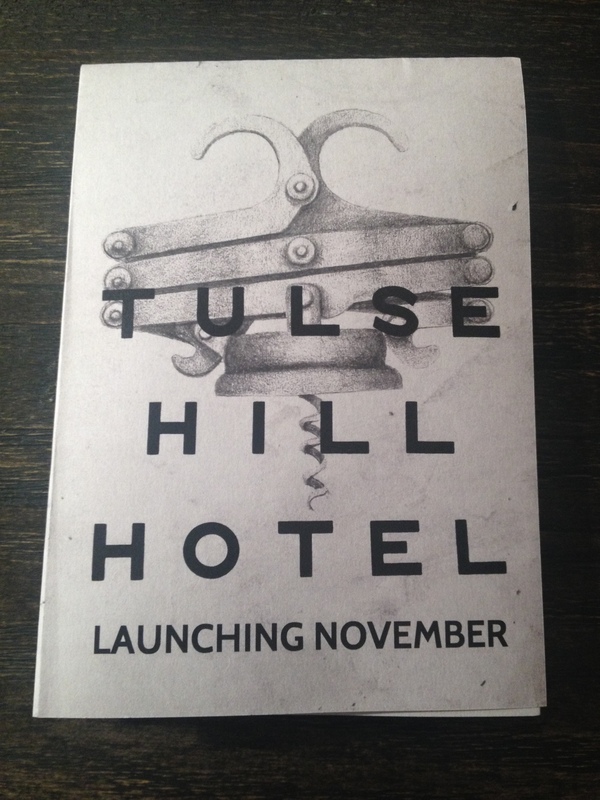 Their website isn’t fully functioning yet – any searches direct your to their Twitter profile – @TulseHillHotel – where there are occasional updates on how work is coming along. We never visited the Tulse Hill Hotel in its old capacity so can’t comment on how it was before, but if it’s anything like the revamp The Great North Wood experienced earlier this year, we expect great things.